Brian Stokes Mitchell, the actor who performed as Coalhouse Walker Jr. in the original Broadway run of “Ragtime,” had a discussion about racial inequality and the themes of the show with students from Cherry Hill East on Friday. In January, dozens of people with various points of view began the discussion of the high school musical “Ragtime” online, at meetings and at a Cherry Hill Board of Education meeting. Brian Stokes Mitchell visited Cherry Hill High School East on Friday to talk about “Ragtime,” the themes and some of the content presented in the show. Mitchell engaged in a conversation with various students, including members of the cast and crew, members from the Thespian Society Tour 213 and students from the African-American Culture Club. The students had different points of view and not only asked Mitchell questions about the language and themes of “Ragtime,” but offered their own feelings as well. Mitchell spoke out in January after a debate ensued in Cherry Hill about the use of the N-word in “Ragtime.” The Camden County NAACP released a letter expressing its displeasure about the use of the N-word in the musical in mid-January. Cherry Hill Public Schools on Jan. 20 said offensive language would be removed from the script, but reversed its decision on Jan. 27 to keep the script unaltered due to contractual obligations and feedback from the community. While the debate was still ongoing, Mitchell offered to visit Cherry Hill to engage in a discussion about the show. On Friday, Mitchell explained to students how racial slurs are used in the show to make the audience feel uncomfortable and to show how racial slurs and other forms of inequality are wrong. Barbara Wilson, public information officer for Cherry Hill Public Schools, said she hopes students were able to have their voices heard during Friday’s discussion. “I also hope they took away that there are different perspectives that should be listened to, should be considered and that there are adults with much experience in this area that have wisdom to impart,” Wilson said. Mitchell’s visit is only one way Cherry Hill East is discussing the themes of the show among the student body. Next week, lessons will take place in history and English classes in the high school revolving around the themes of the musical. The lessons will take place across all grade levels and will include guest speakers, discussion and a presentation. Wilson said the Cherry Hill African American Civic Association has helped prepare the lessons. “Students were told ahead of time that this would be coming, that there would be a discussion in the classroom and that the classroom would be a designated safe space,” Wilson said. 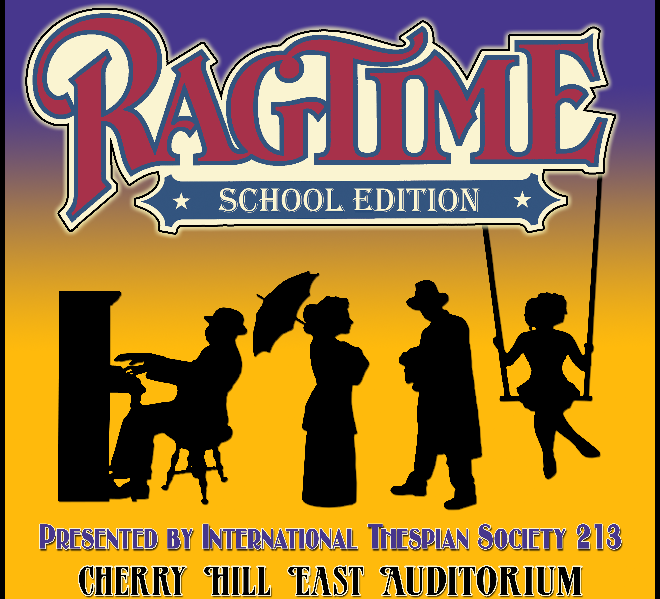 In addition, all students will have the opportunity to see “Ragtime,” during the school day. Attending the performances will be optional. “Don’t let it stop at ‘Ragtime,’” he said to the students.